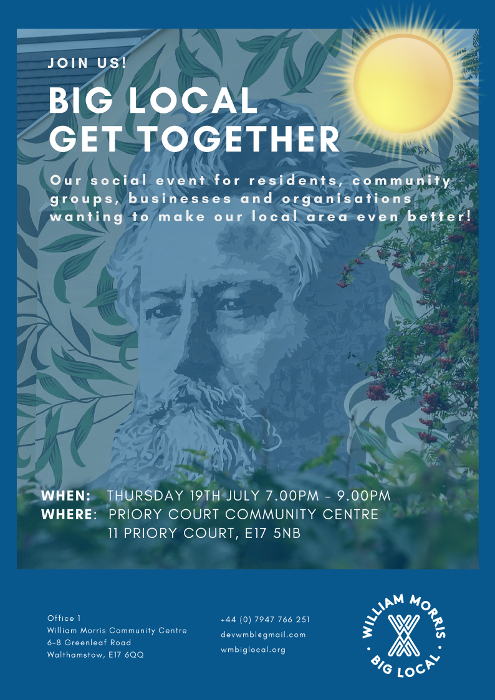 We’d love you to join us at our next community Get Together on Thursday 19th July which will also serve as our Annual General Meeting (AGM). Our Get Togethers are a great opportunity to find out more about the Big Local programme, meet the people involved and hear from the projects we link up with and support. They are always a friendly and informative occasion and this time around we are going to be holding interactive sessions for each of our themes; Strengthening the Community, Improving Open Spaces and Supporting Enterprise. You’ll be able to speak to our theme leads, find out what activities are planned and discover ways in which you could get involved. Not only that but we’ll have some delicious food and refreshments served up as part of our community social.